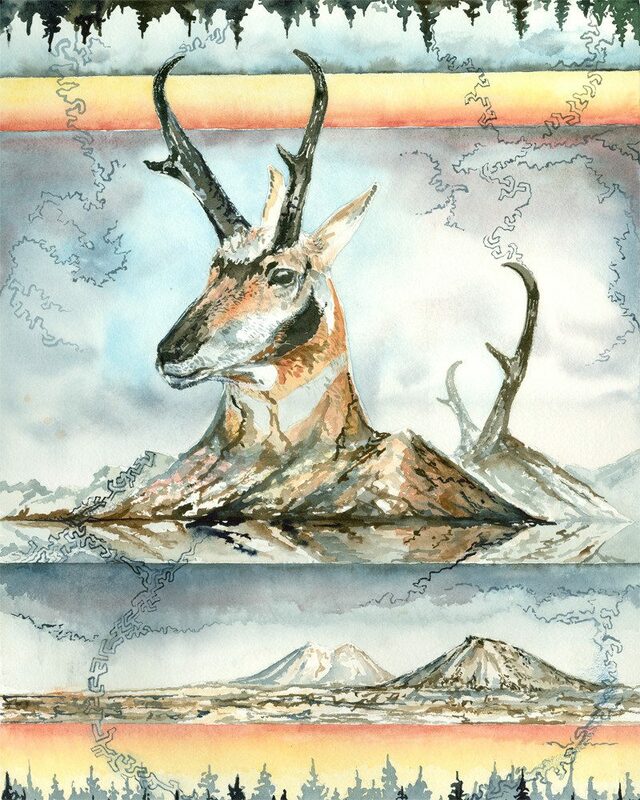 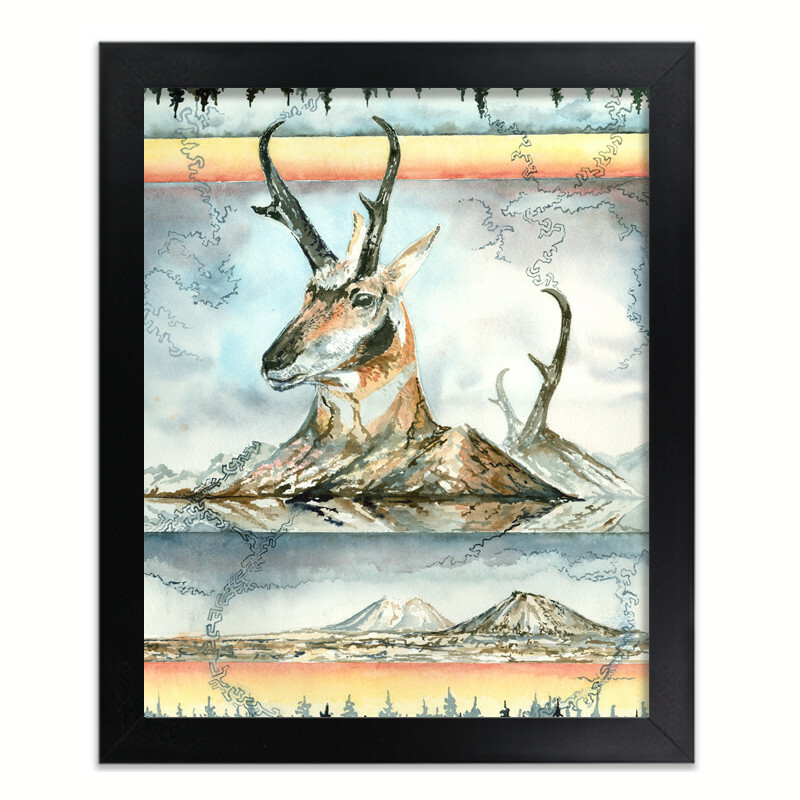 FROM THE ARTIST: A pronghorn comes from the the foothills. 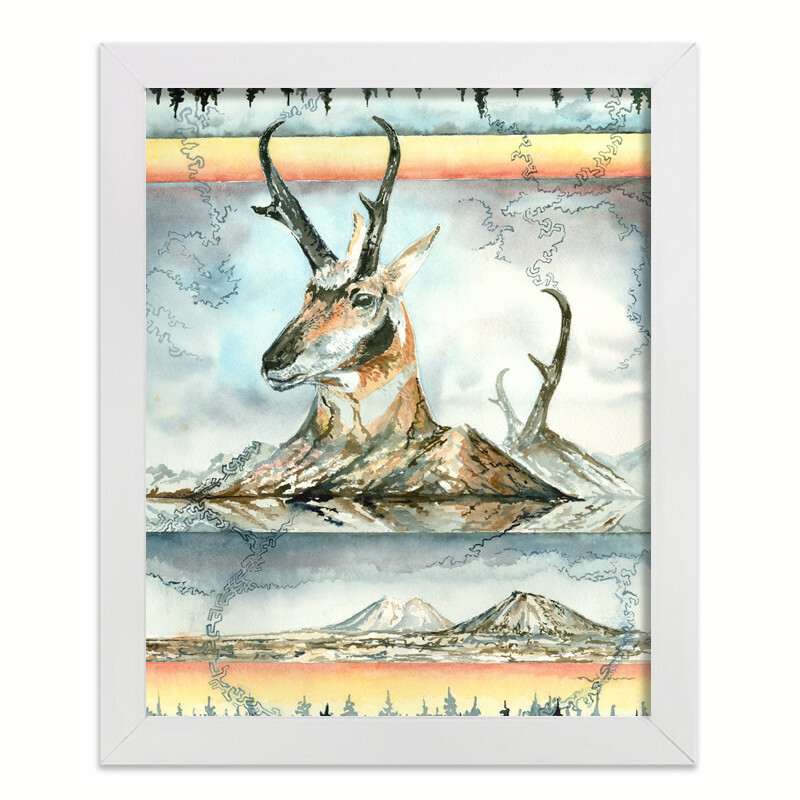 Trees border the high desert plains he will call home. Winter approaches and the air becomes crisp.